How is your overall IELTS writing band score calculated? Hey! Today I want to give you a short guide to how your overall IELTS writing band score is calculated. You might think that this is obvious, but you will be surprised how many people misunderstand the scoring system and, therefore, think that they are performing better than they are! 1. Who marks your paper? So, in your writing exam, you will write on two separate answer sheets – one for Task 1 and one for Task 2. Actually, there is a good reason for this – your questions will be marked by TWO different examiners! Yes! TWO IELTS examiners will have the pleasure of marking your writing! Why? Well, this increases the validity of the exam. If two examiners mark your work, there is a higher chance that the score your receive will be fair and unbiased (and there is less chance of cheating!) The examiners will never see your other score or discuss your grades with each other – everything is done independently. In fact, if there is a BIG DIFFERENCE between your Task 1 and Task 2 scores, then your tasks will be marked by a THIRD and FORTH examiner at the test centre to make sure that everything is correct. IELTS takes the accuracy of your score very seriously. 2. How is your score for IELTS Task 1 & Task 2 calculated? You will receive a score from 0 – 9 in each area and then these scores will be combined to create your final score for Task 1 or Task 2. And this is where things become interesting. Most test-takers (and teachers) assume that IELTS follows the normal mathematical rules of rounding up i.e. if a student has a score of 6.75, then they will be awarded a 7.0. This is not true. IELTS SCORES ARE ROUNDED DOWN NOT UP! Many students who join my school are confused why they got 6.5 in their test when they “had constantly been getting 7.0 in their practice tests”. 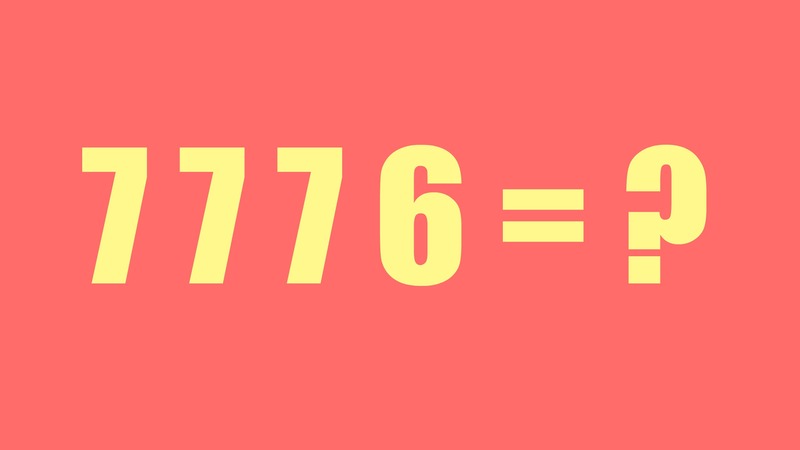 Well, there can be many reasons for this fall in performance, but one is often that teachers wrongly think that 7776 equals 7.0. It does not. It equals 6.5. To achieve an IELTS band score of 7.0 for Task 1 or Task 2, you need an average score of 7.0! Not 6.75 – 7.0! Let me make this clear for you by showing you a range of scores for TR/C&C/LR/GRA and the final score they would receive. The scoring system is the same for Writing Task 1 and Task 2 – it is also the same for speaking (although the categories you will be assessed in our obviously different)! So, please are this in mind when you are training – if you want to achieve a 7.0, you need an average of 7.0 overall! 3. How are the Task 1 and Task 2 scores combined? Now, this is where things get really interesting. When your Task 1 and Task 2 papers leave the two examiners’ hands, they will each have scores for the individual parts of the test. However, how are the 2 individual scores for Task 1 and Task 1 then combined to create your overall IELTS writing band score? The answer is………. Task 2 is worth twice as much as Task 1 . That’s right, you score for your essay comprised two-thirds of your final score, and the score for your letter/report the remaining third. However, what nobody knows is HOW IELTS ROUNDS THE SCORES! Do they both get rounded up to 7.0? Do neither of them get rounded up to 7.0? Or, does only one of them get rounded up? What is their overall writing IELTS band score? where Xi is the symbol for the response to the item (i) (taking the value 1 for a correct and 0 for an incorrect answer); θ is the value of the latent variable; ai(>0) is the discrimination parameter of item I; βi – its difficulty parameter. So, what does this all mean? Well, it means that nobody really knows how your overall IELTS writing band score is calculated! So, the only way you can be sure to get about a 7.0 in your test is to make sure that you score a 7.0 in Task 2 AND Task 1.